BCRF investigators Fabrice André, Sarat Chandalapaty, and Nikhil Wagle discuss resistance to CDK4/6 inhibitors during a Facebook Live at AACR Annual Meeting 2018. On April 14-18, more than 21,000 cancer scientists, survivors and advocates gathered at the annual meeting of the American Association for Cancer Research. During the meeting, BCRF-supported investigators spoke on topics ranging from new targeted therapies, advancements in metastatic research as well as key findings about breast cancer risk. The annual meeting, focuses on findings made in basic science – that is, laboratory or bench work. Discoveries made at this level provides the necessary foundation for applied science that follows. One of the most recent successes in basic science that has translated to the clinical level is the development of CDK4/6 inhibitors. These are a new class of drugs that have doubled progression-free survival for many women with ER-positive, metastatic breast cancer. They work by blocking two enzymes called CDK4 and CDK6 that are involved in cell growth. While the drugs have shown promise, patients have also experienced resistance to the therapies. At the 2018 AACR Annual Meeting, BCRF investigators Fabrice André, Sarat Chandalapaty, and Nikhil Wagle participated on a panel discussion addressing the challenges of resistance to CDK4/6 inhibitors. 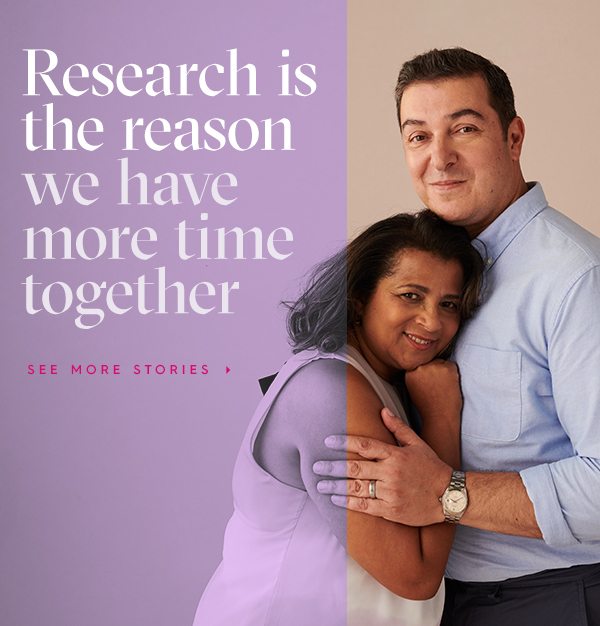 The researchers later spoke to BCRF. A major advantage of CDK4/6 inhibitors are their low toxicity profile and that they synergize with anti-estrogen therapies typically used to treat ER-positive breast cancers. That synergy occurs because both the CDK4 and estrogen pathways converge to promote tumor cell growth, so targeting both is a lethal combination. The researchers noted that the CDK4/6 target is not unique to ER-positive breast cancer or even breast cancer. Efforts are ongoing to add CDK4/6 inhibitors to other treatment regimens for triple negative and HER2-positive breast cancer, as well other types of cancer, and to test them in the adjuvant setting to prevent metastasis following standard treatment. While most patients experience a benefit from CDK4/6 inhibitors, not all women experience the same benefit. Some breast cancers are resistant to the therapy or eventually become resistant in the course of therapy. The researchers highlighted the need to identify biomarkers– molecular signals –that can better predict which patients are most likely to benefit from the therapy. Biomarkers can also help explain why some tumors are or become resistant to the therapy and help to guide subsequent treatments. Finally, the researchers stressed that the success of CDK4/6 targeted therapy highlights how laboratory research leads to medical advances for patients. "Clearly, this is an exciting time and a major advance in breast cancer," Dr. Wagle noted. "But we are still a long way from being able to cure every breast cancer. The combination of basic science and clinical trial are a critical piece to getting there."